All but forgotten today, the Palouse once had its own mass transit--the S&IE Interurban Railway, affectionately known as "the Bug." As the population of the western states dramatically increased in the early 20th century, railroad transportation became necessary for economic expansion, transportation, and communication. This revolutionary decrease in travel time enabled sparsely populated rural areas, like the communities of the Palouse, to connect with the market and culture of urban areas like Spokane and Seattle. This travel revolution brought both the boom and bust of many Palouse towns in the 1900s. 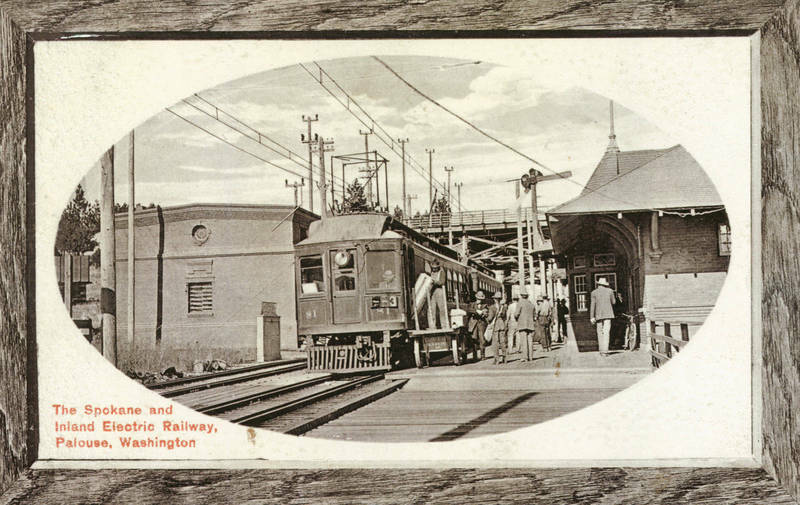 Eastern Washington's population boom in the early 1900s made the advent of electric-powered passenger trains, or "interurbans" the most popular form of personal transportation during that era. Linking Spokane to the many farming communities of the Palouse helped to strengthen regional bonds - both culturally and economically. Interurban travel became much more than just an affordable and quick way to get around. It was also a means of realizing regional importance through the transport of commercial goods. 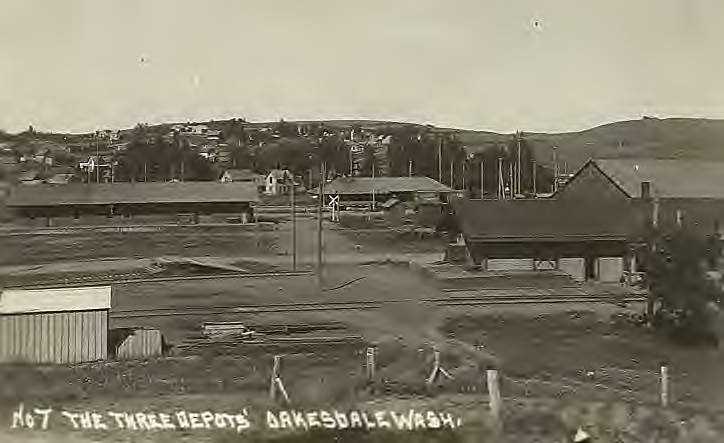 The Spokane and Inland Empire Railroad (S&IE) was one of the most popular regional interurbans in eastern Washington, with dozens of stops in the Palouse between Spokane and Moscow. The number of passengers riding the S&IE trains had reached into the hundreds of thousands by 1919, then peaking in popularity. 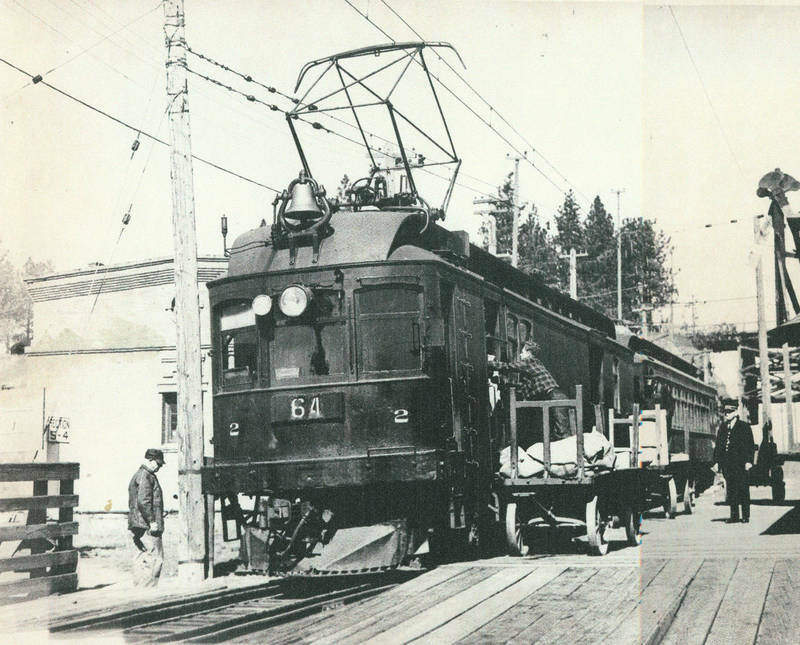 The S&IE started out as a simple streetcar line owned by Spokane Traction Co. and was powered by electricity purchased from Washington Water Power, Spokane's main electric utility. The Spokane Traction Co. next had a Dam built on the Spokane River at Nine Mile in order to bypass the services of WWP and use their own hydroelectric power. In 1907, Spokane Traction Co., the Spokane-Coeur d' Alene Railroad, and James J. Hill of Great Northern (and of Hillyard fame) merged the three lines together. This consolidation helped to expand their vision of interurban travel south from Spokane to the hub of the Washington and Idaho agri-business industry, the Palouse region. 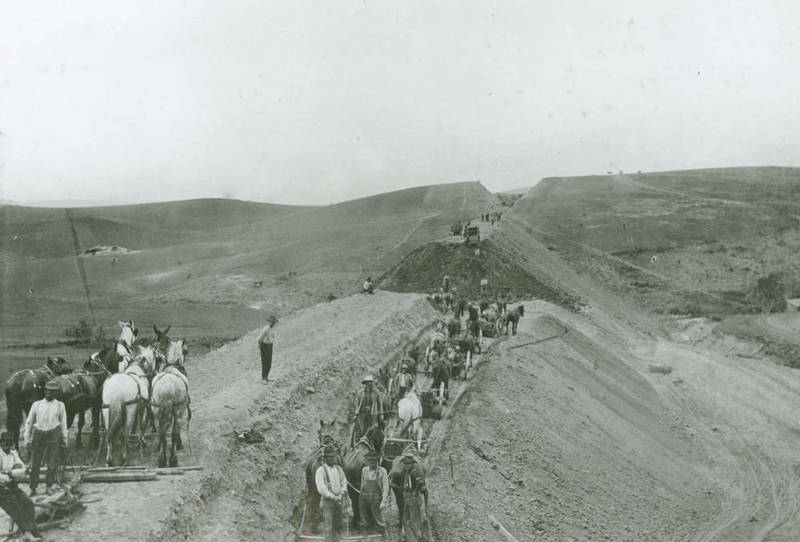 This advancement in iron horse technology also helped to interconnect the various farming communities of the Palouse. The SIE Interurban not only changed the manner in which people traveled and conducted business, but it also changed the very manner in which they viewed their own community, as well as the surrounding communities. By the 1920s, as Ford's mass production of automobiles made it easier for working-class citizens to purchase a car, the use of interurbans began a rapid decline in ridership. 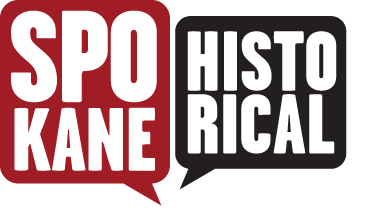 In 1922 the Spokane-Inland Empire Railroad began to supplement certain interurbans with bus routes and soon depots and stations were removed altogether. By the mid-1930s the retention of interurban travel had become a losing battle as more personal vehicles were being purchased and the nation's roads were steadily improved. The Spokane- Inland Empire interurbans ended electric train service to the Palouse in 1939 with one last Spokane-Moscow journey. Extremely limited diesel-locomotive interurban service continued from Spokane to the Palouse until 1970 when the line was scrapped entirely. Today, public passenger train service from Spokane to the Palouse is non-existent and, although hardly comparable to the interurban experience, private bus service is the closest thing insofar as mass transportation is concerned. The real experience of interurban, passenger train travel is now confined to the fond memories of an aging generation. This stop is located at Harpole Bridge (or the Manning-Rye covered bridge) built in 1922. 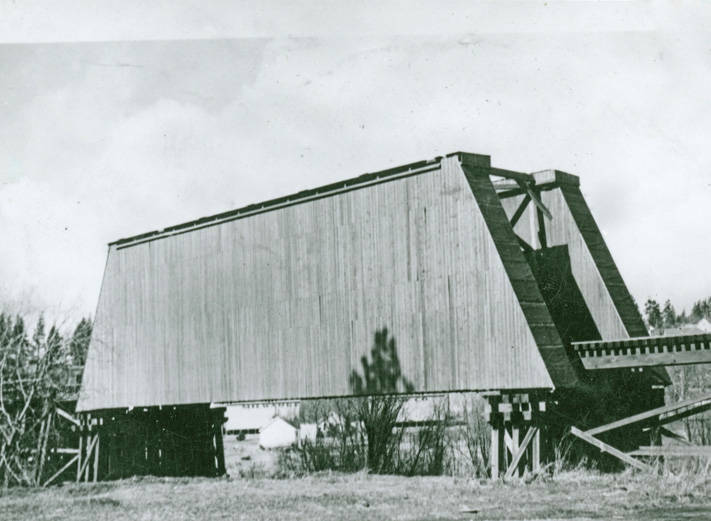 This bridge used to be an important part of the S&IE's Palouse-line on the route to Colfax. Interurbans used to travel over this bridge frequently and it was abandoned along with the rest of the line by Burlington Northern in the 1970s. The is now a portion of the Colfax Trail. 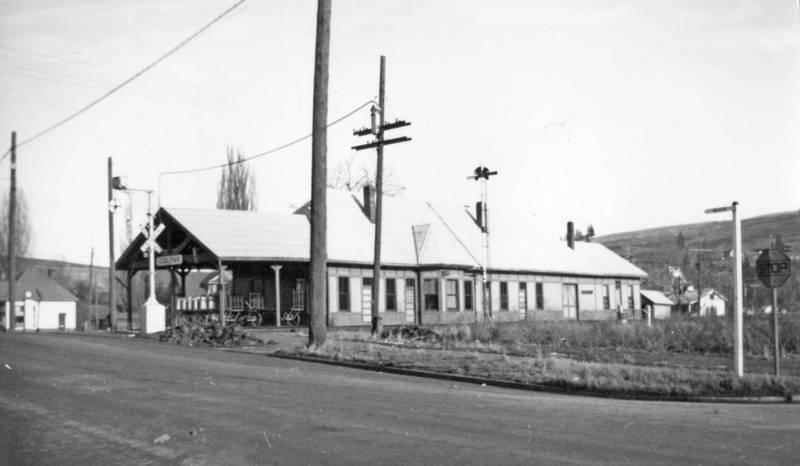 Dr. Charles Mutschler, EWU archivist, explains how Spokane benefitted from the use of the Interurbans in the "Hinterlands"
Robert M. Lambeth, “The Interurban Railroad,” Spokane Historical, accessed April 24, 2019, https://spokanehistorical.org/items/show/372. 1. Inland Empire Electric Line: Spokane to Coeur d' Alene and the Palouse. Clive Carter. Coeur d' Alene,ID: Museum of North Idaho,2009. 2. Whitman County Rural Heritage. http://www.washingtonruralheritage.org/cdm/landingpage/collection/whitman 3. Farmington Remembered: History of a Small Palouse Town. Marshall Belshaw Shore. Tornado Creek Publications,2004.